Metallica are launching their own whiskey this week. The band has teamed up with distiller Dave Pickerell to launch Blackened, a blended whiskey named after the opening track from 1988’s …And Justice For All album. Each batch of bottles comes with an accompanying Spotify/Apple Music playlist. 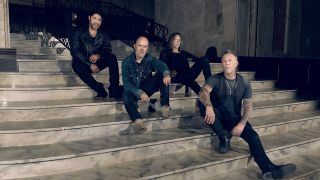 Metallica recently launched their own range of watches, including a $500 Master Of Puppets edition.